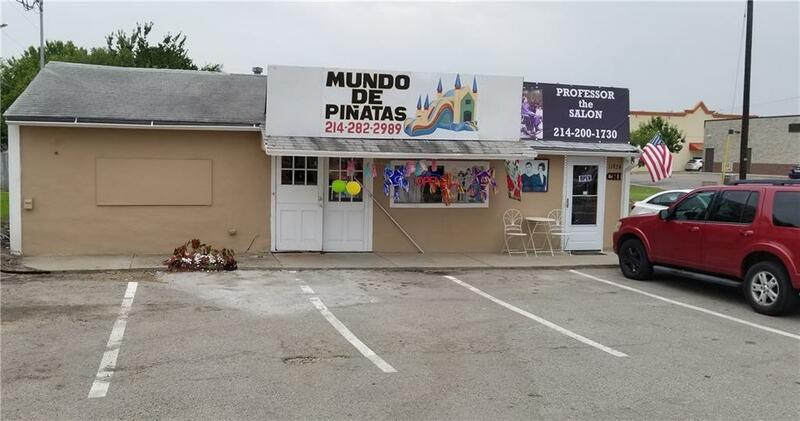 Prime retail, high traffic location,at the intersection of Lake June and Hickory Tree roads, next door to 7-11 and many other businesses. Side B is barber shop with half bath and storage closet inside. Approximately 400 Sq-ft. of space. Side A is occupied by a lovey Pinata Retail store. Approximately 1000 Sq-ft. half bath and storage area. Plenty of parking atfront entrance. Large lot in the rear is about a fourth of an acre total. Very visible large tall high traffic business road sign. Awesome spot for tear down and rebuild. Redevelopment is occurring all around and all about the area.